Xiaomi’s latest Redmi Note 4 smartphone has received an overwhelming response from the Indian smartphone market. The Chinese company in a press statement has announced that 250,000 units of the Redmi Note 4 were sold in 10 minutes in the smartphone’s first sale in the country. Xiaomi held the first flash sale of the newly launched Redmi Note 4 yesterday via Flipkart and mi.com. According to the company, the new Redmi Note 4 was sold out in just 10 minutes. Xiaomi also claimed that the over 1 million users came on board by tapping on the ‘Notify Me’ and over five million unique visitors on both Flipkart and Mi.com combined. Meanwhile, the Chinese handset manufacturer has also rolled out the first developer preview based on Android N for the device. Xiaomi’s Redmi Note 4 has been launched in three variants in India – the 2GB RAM/ 32GB model has been priced at Rs. 9,999, the 3GB RAM/ 32GB model has been priced at Rs. 10,999, while the 4GB RAM/ 64GB model has been priced at Rs. 12,999. The Redmi Note 4 is available in Gold, Grey, and Silver color variants and a new Matte Black color variant will be coming soon. It will be available via Flipkart as well as the company’s Mi.com. 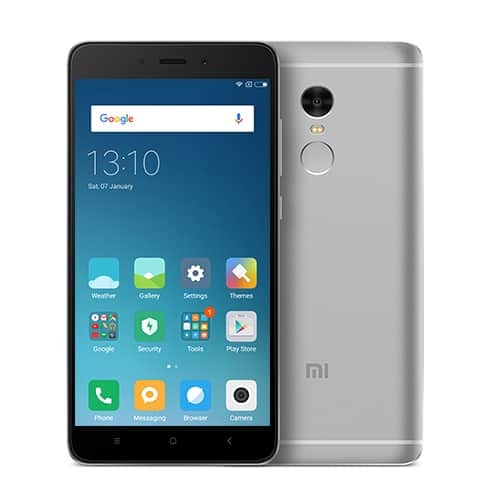 The Xiaomi Redmi Note 4 comes with a 5.5-inch full HD (1920 x 1080) 2.5D curved glass display, a 2.0 GHz Octa-Core Snapdragon 625 processor powered with Adreno 506 GPU. The hybrid dual SIM smartphone runs on Android 6.0 Marshmallow operating and has a 4100 mAh battery.